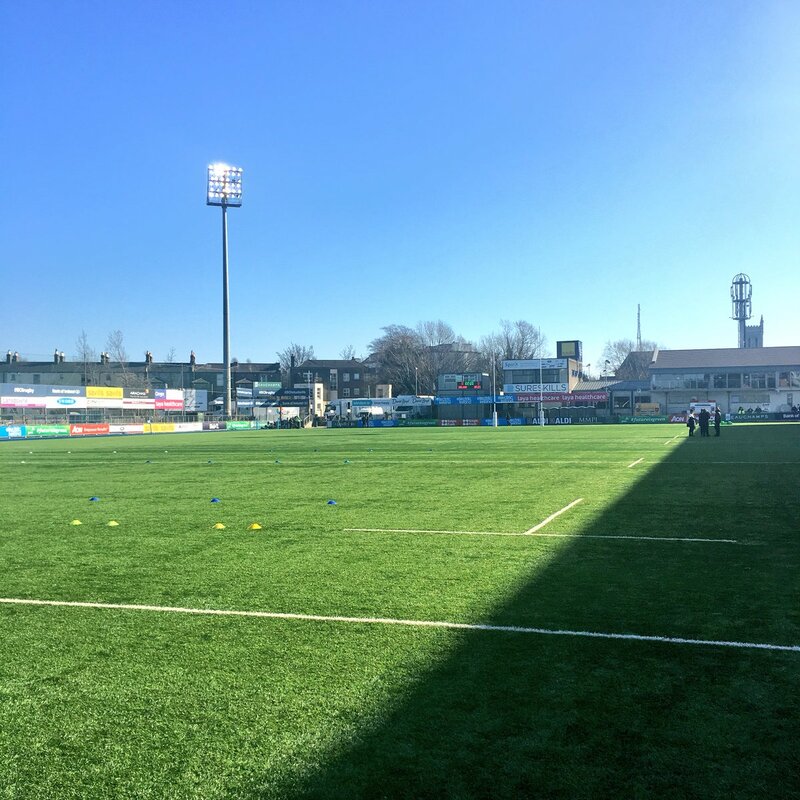 At one point, the Dragons had barely a fifth of possesion in this match - but they ralied late to almost pull off a major win in Dublin, denied at the death by a Jacob Stockdale interception. Warren Gatland's side can hold their heads high with their efforts, if perhaps too little too late - but it is Joe Schmidt who keeps his side on track for a Grand Slam at the Aviva Stadium. 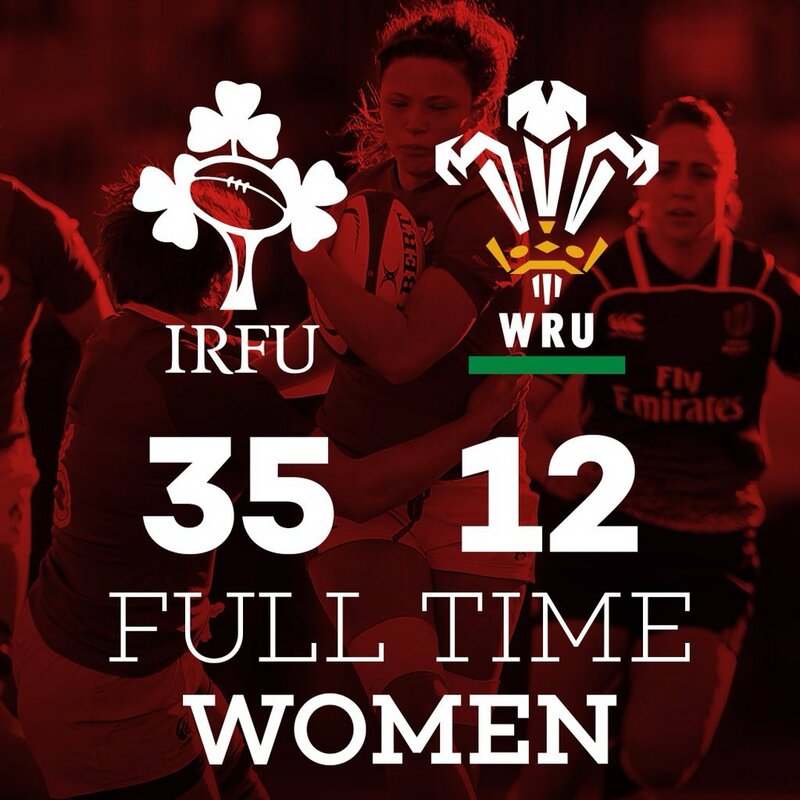 Full-time, it's Ireland 37-27 Wales. CONVERSION: Ireland 37-27 Wales. From bang in front, it's merely a formality - but Murray restores the 10-point lead and Ireland have prevailed as 37-27 winners against Wales in a thrilling NatWest 6 Nations encounter at the Aviva Stadium! TRY: Ireland 35-27 Wales. Interception from Stockdale! As the Dragons hurl it wide out to the right, looking for Hadleigh Parkes, the winger leaps to pinch the pocket of the visitors and race home under the sticks! Ireland have won with a dramatic finish! Penalty to Wales, deep in their own territory for messing around at the ruck! The Dragons get - and win - the line-out on halfway with a minute left on the clock. CONVERSION: Ireland 30-27 Wales. Halfpenny adds the extras with a lovely kick and and the visitors are only three points behind. TRY: Ireland 30-25 Wales. The Dragons won't go quietly into the night! Steff Evans is in as from the restart, they collect shortly and spread it wide, first to North on the right, and then to his fellow winger on the left who rips downfield to get in at the corner. PENALTY: Ireland 30-20 Wales. In off the left post for Murray! Ireland have a 10-point advantage after the kick from 35m out on the right bounces between the uprights. That is great from Ireland in the scrum as they force the collapse and earn the penalty. Murray will go for goal to try and put the game out of grasp for Wales. Halfpenny can't take the clearing kick under pressure from the hosts, but Wales manage to recover and Williams earns a scrum on his own 40m mark. The visitors fling it fast to the right for North who skirts around the winger and is just pinned back by Kearney - and then Gareth Davies bobbles his pick-up at the play-the-ball and Ireland are let off the hook. An excellent return for Wales; Davies makes good metres out of the scrum and then the Dragons spread it left to Halfpenny who punts long downfield. His kick pays off; Kearney collects but his pass to Fergus McFadden is bobbled and Ireland concede the scrum on their own 40m mark. 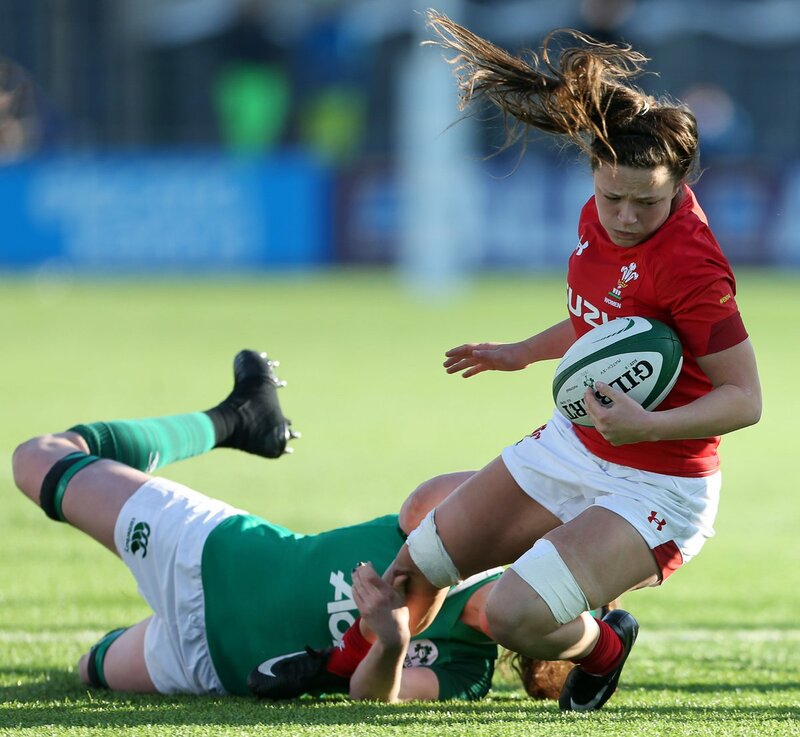 A let-off for the visitors; Ireland fail to play the ball cleanly and Wales get the scrum a few yards away from their own try-line on the right. Scott Williams concedes the penalty now for Wales and Sexton makes a quick tap to blast down the left wing and put Ireland 10m out on the blindside flank. Jack Conan is also on for Ireland now, replacing Peter O'Mahony, with George North replacing Liam Williams for the visitors on the wing. A few changes now as we head into the final 15 minutes; Biggar is replaced by Gareth Anscombe and John Ryan takes the place of Porter among others. CONVERSION: Ireland 27-20 Wales. It's a wonderful kick to add two more points for Wales by Halfpenny and the Dragons are a converted score away from tying things up. TRY: Ireland 27-18 Wales. And they get it! Aaron Shingler records his first ever Test try to give Wales a spark of hope, going over on the right wing with a wonderful pass from Parkes. Great work from Biggar who chases a Davies kick 25 yards to collect, before spreading out wide to the left for Steff Evans who goes close down the left wing. The visitors are massing forward at speed, trying to find a score to claw their way back into this game. 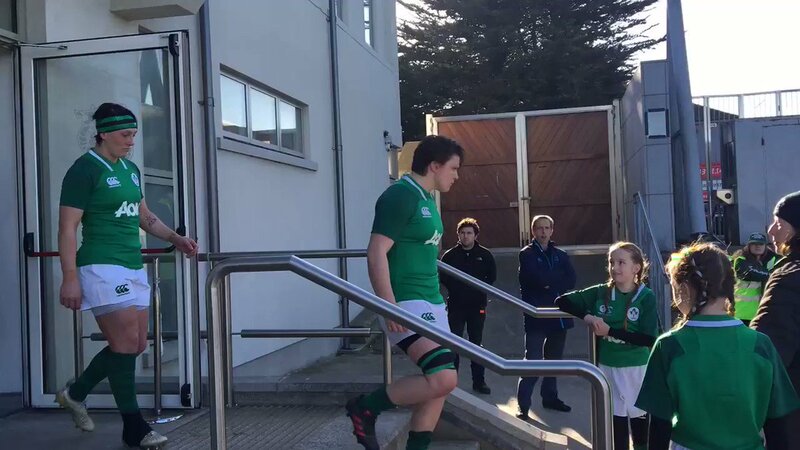 Scrum to the visitors now as from the resulting line-out, Ireland foul up. Halfpenny spreads it wide from the base and the Dragons go from left to right, slipping through the gaps thanks to a fast pass from Parkes - and then they turnover easily once more. Wales cough the ball up in a cheap turnover to Sexton once more and Earls and Halfpenny are in a foot race down the right wing. It's Liam Williams who gets there first in the end after the two collide and the visitors drop out. Scrum to Wales just inside the Ireland half now as they look to make their first serious foray into opposition territory. The Dragons have only had 21 percent of possession in this game. Sexton's kick is a wobbly one too and he misses again as Wales ring the changes, switching out their entire front row as Elliot Dee, Wyn Jones and Tomas Francis arrive on the field. TRY: Ireland 27-13 Wales. Cian Healy is over in the corner for the bonus point try! Ireland are in full control at the Aviva Stadium as the big loosehead prop scores his first for the national side in four years. A double scrum collapse later and Ireland finally get the ball out, with Earls and Stander both going close down the blindside on the right. Ross Moriarty pinches the line-out from Ireland - but is pinned in his own in-goal area. 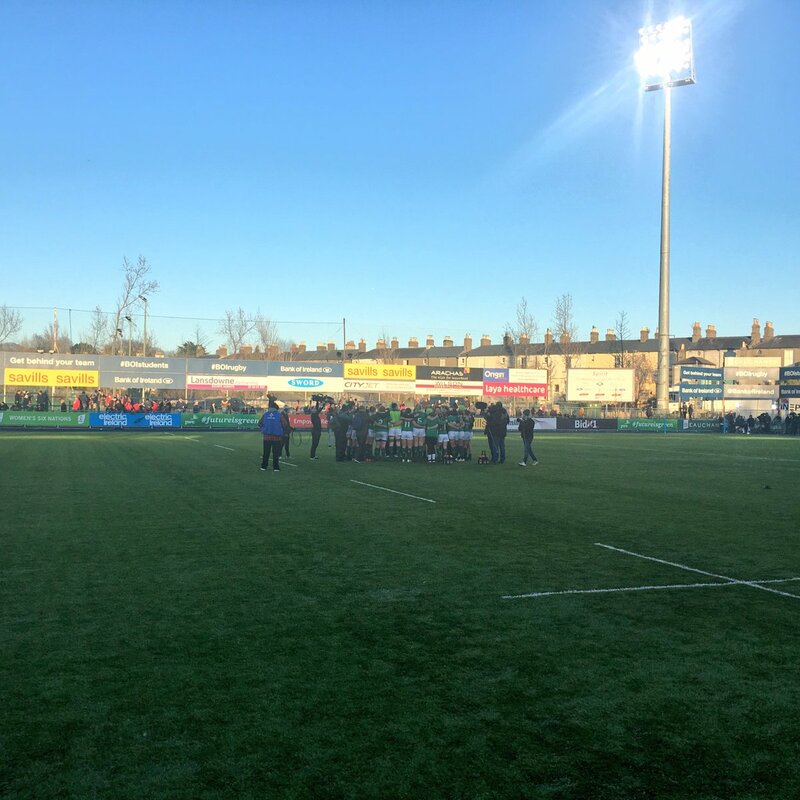 Scrum to Ireland, 5m away from the try-line on their right flank. 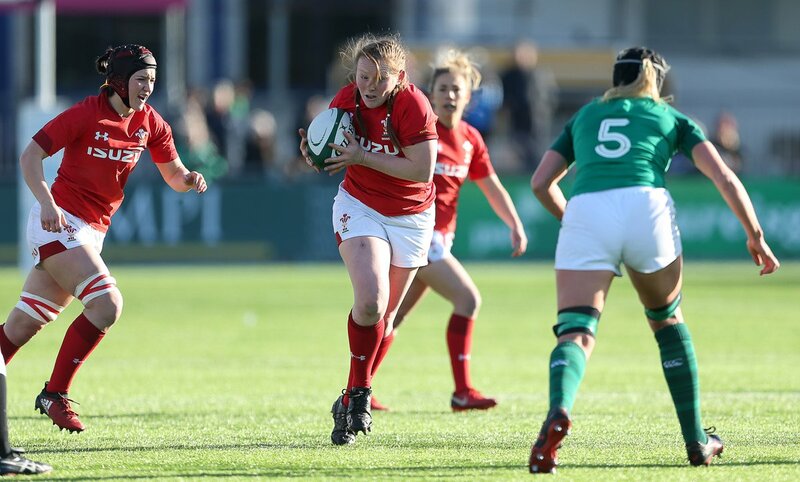 Now Steff Evans is dumped into touch and from the line-out, only 20m away from the Welsh line on the left, the Irish maul forces another line-out practically on the try-line. It's a smart restart from Wales, who put a short kick-off to the right for Liam Williams to hook out of the air - but then they knock on in the tackle two phases later and Ireland get the scrum just inside their own half. CONVERSION: Ireland 22-13 Wales. Sexton pops over the extra two points from bang in front and Ireland strengthen their lead. TRY: Ireland 20-13 Wales. Dublin's own Dan Leavy is over for the hosts! 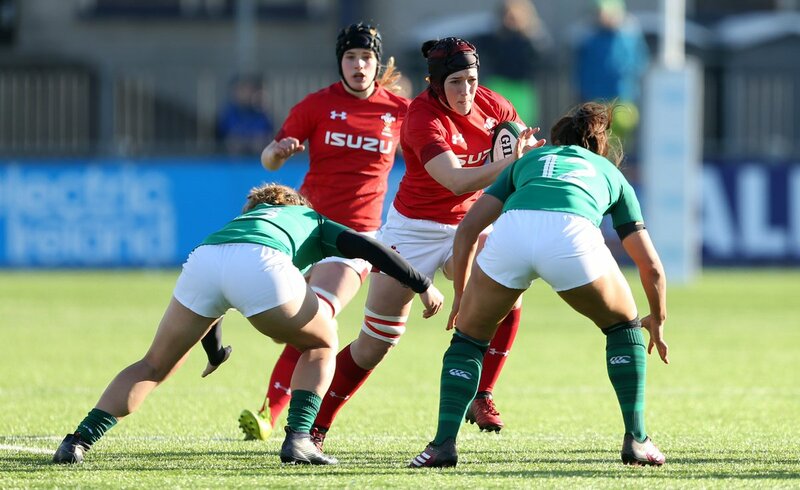 Ireland force the ruck forward and the openside flanker gets in under the posts after a sustained spell of pressure on the Welsh line. What a take from Murray! Earls breaks the tackle down the right wing again and with two men to beat, tips the ball inside to the scrum-half. He juggles the high effort and looks to have knocked on - but manages to get back under it and retake before he goes to ground. Kearney chances his luck with a drop-goal attempt from some 40 metres out; he pulls it well wide and short to the right to give Wales a 22-mark drop-out. We're back underway in this NatWest 6 Nations clash in Dublin, as Ireland look to preserve their slender lead against a fired-up Welsh side. Andrew Porter looks to plough through the left edge from the restart; Josh Navidi is up in defence quickly enough to shut down the prop before he can cause too much damage. It's been a back-and-forth affair at the Aviva Stadium, punctured by some brilliant spells of free-flowing rugby; but at the interval, it's Ireland who are shading their opponents, back in front after a great Gareth Davies try gave the Dragons a slender lead in this NatWest 6 Nations game. The hosts have been foiled by the erratic boot of Jonathan Sexton today - but it is his conversion to a Bundee Aki score that sees them take a 2-point advantage into the changing rooms at the break. 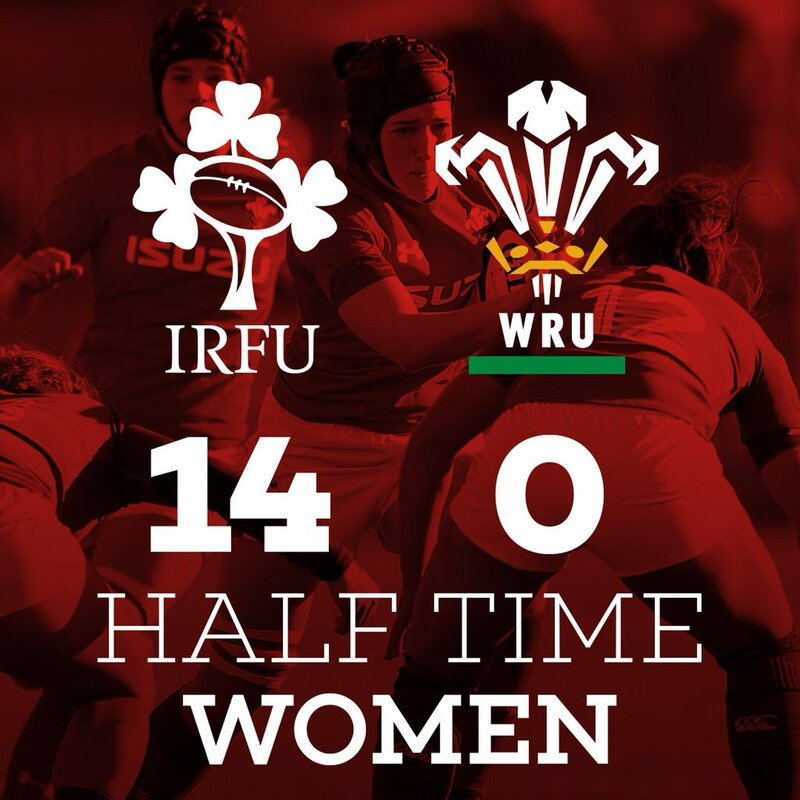 Half-time in Dublin, it's Ireland 15-13 Wales. CONVERSION: Ireland 15-13 Wales. Sexton adds the extras and, as the half-time whistle goes, Ireland head into the break with their lead restored for the first time in 20 minutes. TRY: Ireland 13-13 Wales. They won't need it! Bundee Aki is over, to the left of the posts as he comes up just short and manages to reach over and plant the ball on the whitewash despite the attentions of three defenders. All square in Dublin with a kick to come. Toner collects well and the Irish maul pushes both sides crossfield and then back into the centre, 10m out on the 12th phase as Murray tries to slip through the cracks. Penalty to Ireland now as Shingler is pinged for offside after 11 phases. Wales have conceded six so far, to the three they have received. 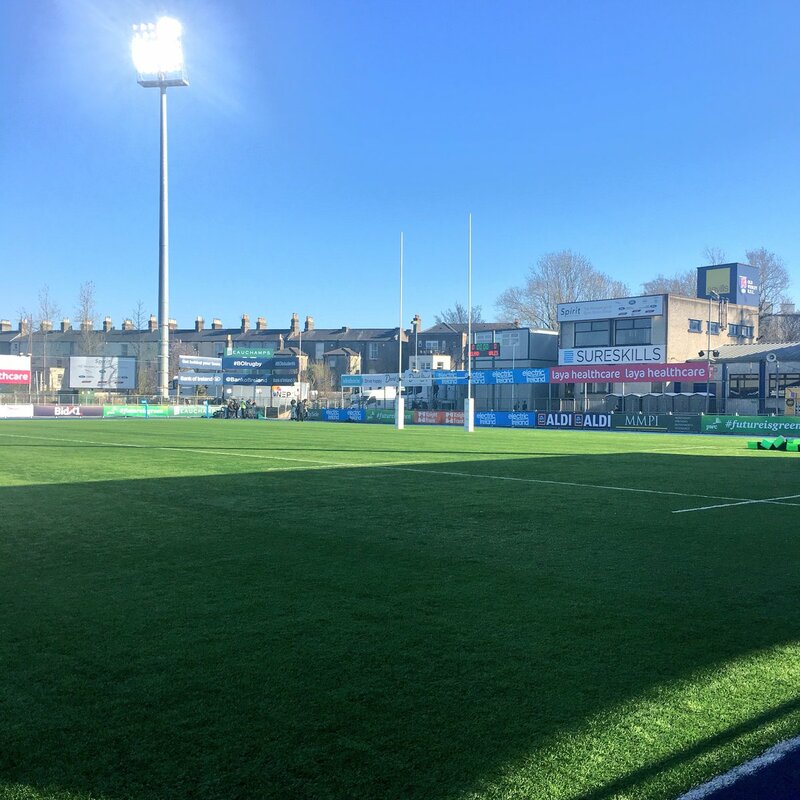 The hosts will get the line-out 20m away from the visitors' line on the left wing. CJ Stander burrows his way down the left wing from his own 20m area to give Ireland a little more field space and then Conor Murray's short kick finds Sexton to push the hosts just shy of halfway. PENALTY: Ireland 8-13 Wales. Sexton gets the three points and the hosts are back in touching distance of the Dragons. Penalty to Ireland on the Welsh line now after a 15-phase passage of play that saw Stockdale launch a brilliant one-handed pass on the left wing over his shoulder to Farrell and Rob Evans almost scramble over. Sexton will go for goal, 11m out in front. What a break from Earls! The winger slips through a gap on the right and goes 30m before his attack is stalled due to a lack of support - but it sets a promising position for Ireland to strike from, only a handful of yards out. PENALTY: Ireland 5-13 Wales. This time, from 40m out on the right, Halfpenny makes no mistakes, and the Dragons increase their lead to eight points. Ireland, for the first time in the NatWest 6 Nations, look to be struggling with their composure somewhat. Alun Wyn Jones looks to force his way through the middle after Hadleigh Parkes lofts a wide pass to the left; Dan Leavy locks him down though and earns a penalty for failure to release. The full-back's effort just goes the distance - but is shaved wide of the left post. 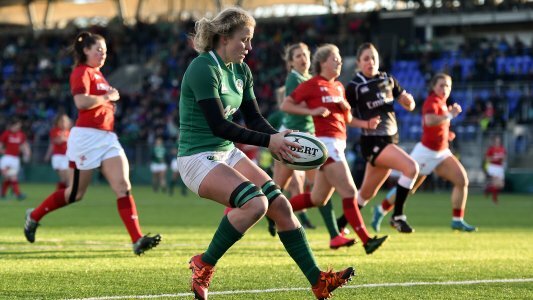 Ireland drop out on the 22-mark. 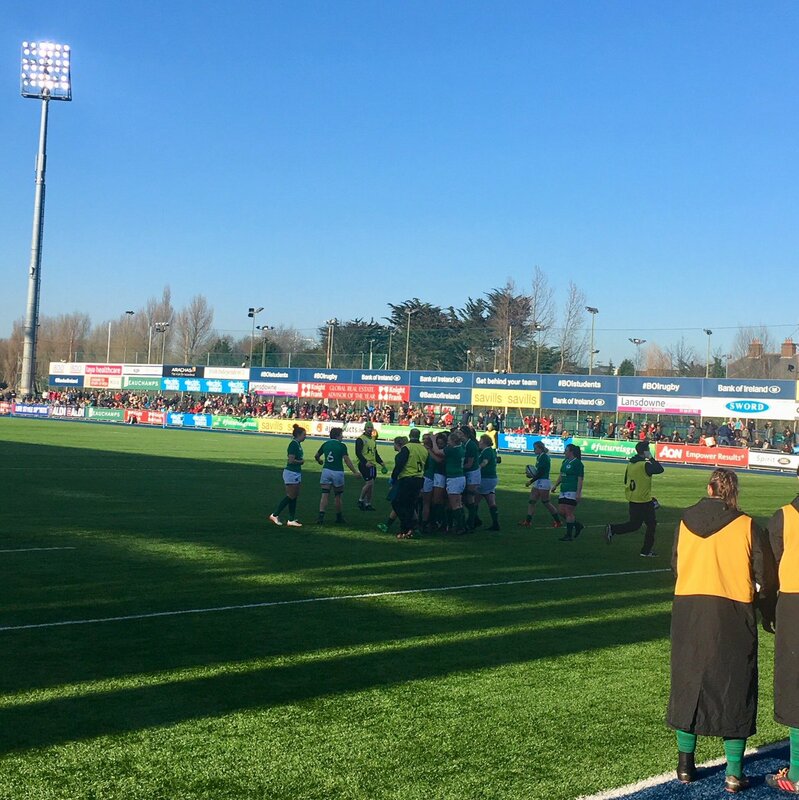 Ireland earn a scrum out wide on their own 40m mark and Farrell brings it round from the right to centre-field, pressing down the middle - only for the hosts to be penalised as they cross halfway for obstruction. Sexton tries for a short kick-off again which Earls knocks on out right on the wing; from the scrum, Biggar tries the same crossfield chip, looking for Liam Williams. He instead finds Stockdale - but the Welshman's blushes are spared as the Irish player knocks on as he comes to ground from his leap. CONVERSION: Ireland 5-10 Wales. Halfpenny adds the extras from bang in front and Wales stretch their lead to five points. TRY: Ireland 5-8 Wales. What a try for Gareth Davies! From the line-out, Shingler brings the ball from the left to get over the gain line 10m out - and then the half-back weaves his way to the line with a burst of speed. Against the run of play, the Dragons are back in front. A cheap turnover from the hosts gives Steff Evans and Wales the chance to punt downfield again and Kearney's return kick is sliced out for a line-out to the visitors. 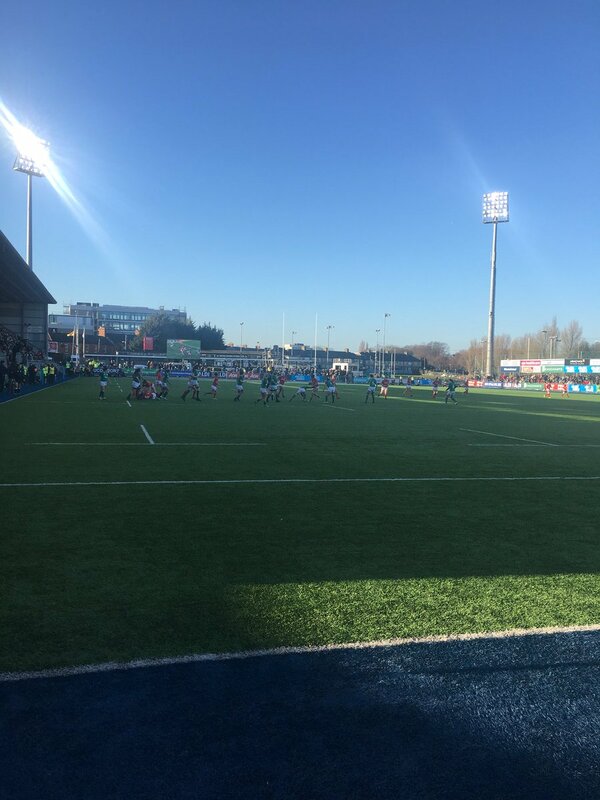 Great work by Sexton who from the line-out, sweeps Toner's pass crossfield to the left and puts Rob Kearney through the Welsh line, making it over halfway before the visitors pin him back. Great work from Scott Williams allows Wales to counter with a long kick that may beat Steff Evans down the left wing but at least pins Ireland in their own half. Earls puts a quick little grubber through the Welsh defence to force the visitors into a defensive line-out on their right flank 10m out; the Dragons do well to dig themselves out of danger with a quick take before Gareth Davies returns with a clearing kick. 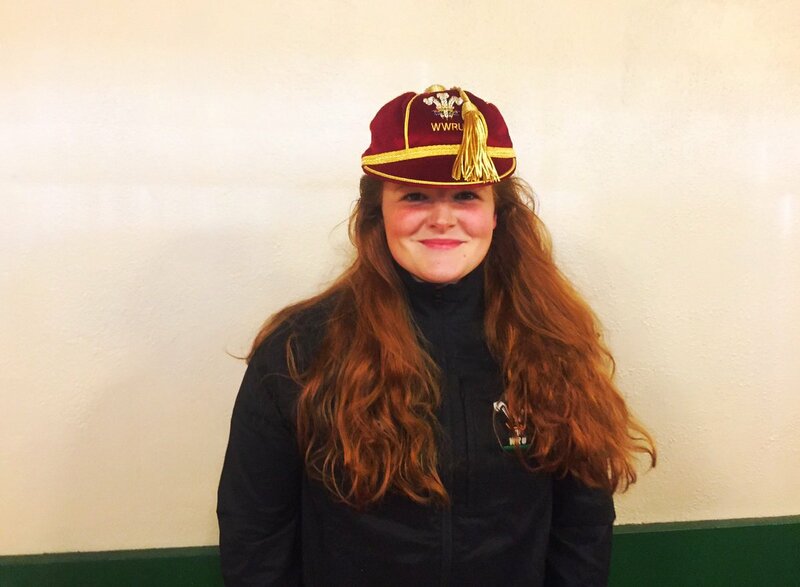 A third shot on goal today for Sexton - and a third miss! It is highly unlike the Leinster man to miss three on the bounce; the score remains 5-3. 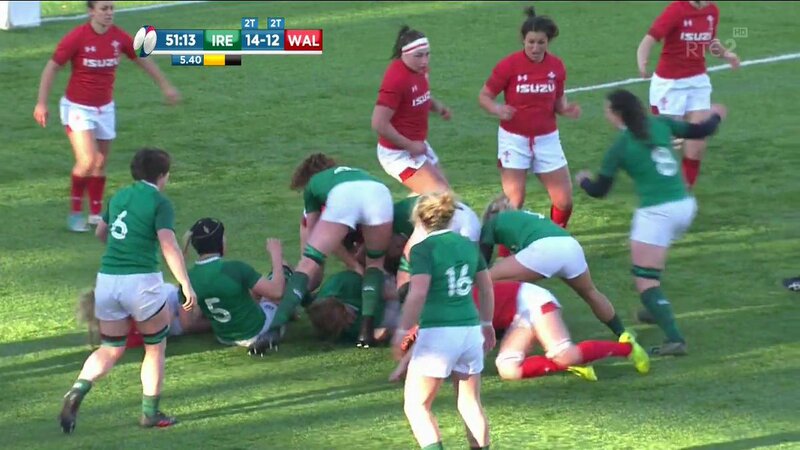 From the scrum, both exchange kicks again, ultimately setting up an Irish line-out on the Welsh left wing just inside their own half, before Ireland pick up a penalty for not releasing after three phases. Sexton will go for goal again. It's a great collection from Devin Toner as the hosts try to guide the maul away from the touchline; in smuggling it out back, Bundee Aki knocks on and Wales get the scrum. Wales concede a penalty from the restart after a series of clearing kicks; Aaron Shingler dives into the tackle off his feet and Rory Best catches him out. Ireland punt down to the right wing from halfway, and set up a line-out 10m away. Sexton pushes the kick wide again - this time from the left touchline - but his side are still out in the lead after that early Welsh penalty. TRY: Ireland 5-3 Wales. The hosts strike back as Sexton plays a penalty advantage with a fabulous flick pass to Stockdale out on the left and the winger dives over in the corner to give his side the lead. Sexton kicks it well, 35m out in centre-field - but hits the right post! Aaron Shingler regathers under the sticks and Scott Williams looks to take it away down the left - only for the centre to hurl it forward out of the reach of Steff Evans. Scrum to Ireland, 10m out. It's an immediate response from the restart; Jonathan Sexton puts a short kick-off to Chris Farrell and Rob Evans fails to release the player in the tackle. Sexton will go for goal to level it up. PENALTY: Ireland 0-3 Wales. It's a touchline effort for Halfpenny and, 40m out on the left, he slots it over to give the visitors the lead. We're underway at the Aviva Stadium in this 2018 NatWest 6 Nations clash between Ireland and Wales! It's the visitors who press an early advantage; after an exchange of clearing kicks, a Dan Biggar punt crossfield to the left finds Steff Evans who is fouled with an intentional knock-on by Keith Earls. Leigh Halfpenny steps up and points to the sticks. 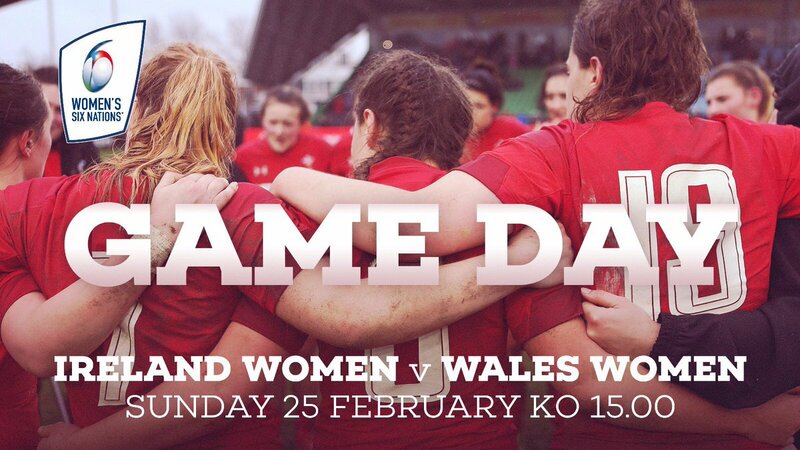 Anthems are over and Wales will kick off. New Zealand's Glen Jackson is the referee, taking charge of his fifth Championship match. The teams are out what is a chilly, breezy Saturday afternoon in Dublin for the national anthems. 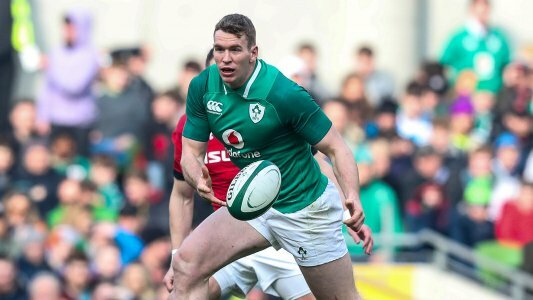 Wales will be on the look-out for Ireland duo Keith Earls and Jacob Stockdale; the former has eight tries in tests since the beginning of 2017, more than any other European player at international level, whilst the latter made more metres, beat more defenders, made more offloads and completed more clean breaks than any other individual in week two. If he comes off the bench, George North will have a chance to add to his Championship try haul of 15 scores; one more will see him tie Ben Cohen for third on the all-time list. He picked up two against Ireland last time the sides met, at the Principality Stadium; Wales ran out comfortable 22-9 winners in that previous encounter. 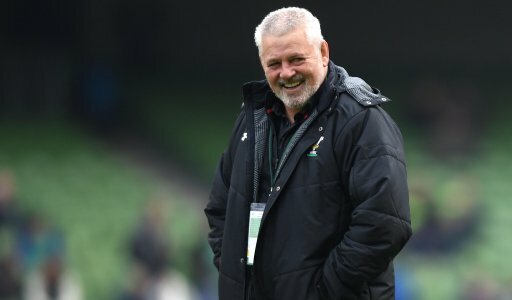 Today marks Warren Gatland’s 100th game in charge of Wales, once matches where he has been either injured, ill or with the Lions are detracted. He has 50 wins to his name, with 47 defeats and a further two draws making up his overall results tally. On the other side, Ireland captain Rory Best makes his 109th appearance for the national side; he is now the most-capped forward in the country’s history, moving clear of Paul O’Connell. Even with Ireland’s injury woes, Wales face a challenge to come away with the win today; though they have beaten their hosts in Dublin more than any other side in the Championship bar France, with three victories, no side has won at the Aviva Stadium since England in 2013. In addition, Schmidt’s side have won all but one of their 42 set-pieces so far in their campaign, undefeated in scrums and losing only one line-out. The Dragons have been blessed with a clean bill of health ahead of the match, with Gatland able to call upon all members of his squad; Leigh Halfpenny is back in the starting line-up following a late withdrawal with a foot infection against England. 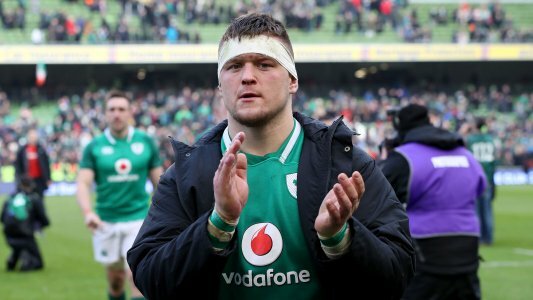 As for Ireland, Andrew Porter makes his first start for the national side in the absence of the injured Tadhg Furlong, with Iain Henderson also ruled out for the hosts. Joe Schmidt’s men romped to a 56-19 win against Italy a fortnight ago to follow up their nail-biting victory against France in the opening round – but now they face their sternest test against a Welsh side with the finest defence in the Championship, having only conceded a cumulative total of 19 points against Scotland and England. Warren Gatland’s side are dark horse outsiders for the title, coming into today’s game; a major victory against the last Home Nations side to play would line them up for a potentially thrilling run towards the crown over the coming weeks. 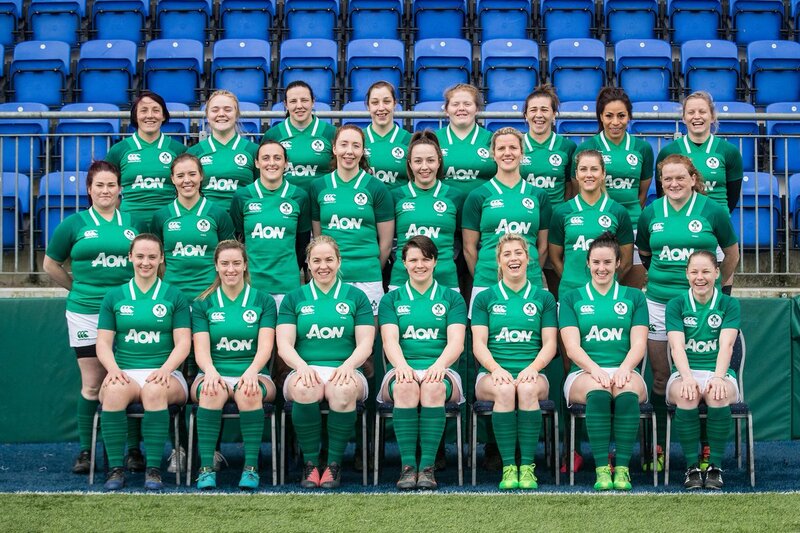 Hello and welcome, from around the world, as the 2018 NatWest 6 Nations ticks over its halfway stage in Dublin as Ireland and Wales face off at the Aviva Stadium. The hosts are in pursuit of a first Grand Slam since 2009, sitting atop the Championship table after the first two weeks; against a Wales side fired up by a controversial loss to England at Twickenham though, do they have what it takes to break a three-game winless streak against the Dragons? RT @Glenisk: Calling all mini rugby fans! @BBCSPORTNI Kim Flood kicked the conversion. 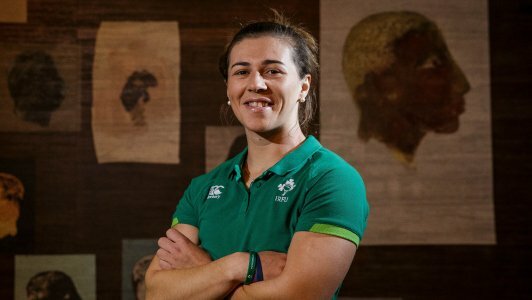 IRE 28-12 WAL | Replacement back Hannah Tyrrell crosses for Ireland with six minutes to go in the match. Fullback Kim Flood converts. "England are still a way off consistently competing with the All Blacks as the number one side in the world"